The Touch Cruise is both a looker and a very capable smartphone. Our spies were right on the money last month when they told us of a new super phone from HTC called the Touch Cruise [PDF link] that would hit the shops in November. The newcomer will be available any day now either with a contract from the networks or direct and unlocked from HTC themselves. As expected, it packs in a fat internet pipe and more technology than any HTC smartphone to date. On top of HSDPA for 'net connections at up to 7.2Mbit/s (depending on the carrier), there's GPS for the first time from HTC and the now-familiar TouchFLO interface. The screen is a 2-8-inch LCD, while the operating system is the tried-and-tested Windows Mobile 6. 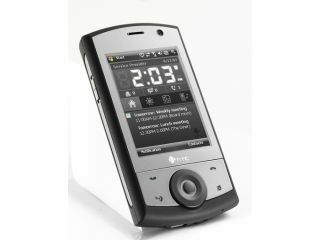 A three-megapixel camera, microSD card slot, FM radio tuner and 128MB of RAM complete a very desirable package that is likely to cost around £100 with a contract at launch.